Found one file extension association related to Sabotain: Break the Rules and 1 file format developed specifically for use with Sabotain: Break the Rules. 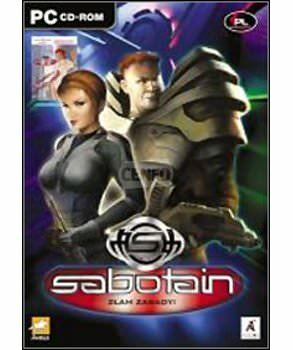 Sabotain: Break the Rules is a first person shooter role playing game for Microsoft Windows with varied mission types, including sabotage, infiltration, rescue, intelligence-gathering, thievery, reconnaissance, assassination, and much more. In the midst of a growing conflict between the Galactic Empire of People and the Confederation of Independent Worlds, the Empire secretly sends an agent to the Confederation capital to sabotage a synthetic food production factory. As a secret agent for the Empire, you will explore the huge world of the Confederation capital, the Miracle City, performing varied sabotaging tasks, from simple persuasions to furious carnage. In the end, you will be forced to choose a side: either loyalty to the Empire, support for the Confederation forces, or allegiance to a new, independent antiwar organization. If you need more information please contact the developers of Sabotain: Break the Rules (Akella), or check out their product website.